Whether you've spent your entire adult life dreaming of your own backyard pool or your desire is more recent in origin, you may be wondering where to begin. While the Sacramento area has no shortage of swimming pool builders and pool supply businesses, selecting the right contractor can be the difference between enjoying the year-round convenience of your own backyard pool and experiencing the frustration of maintenance or repairs before you've even had the opportunity to take a swim. 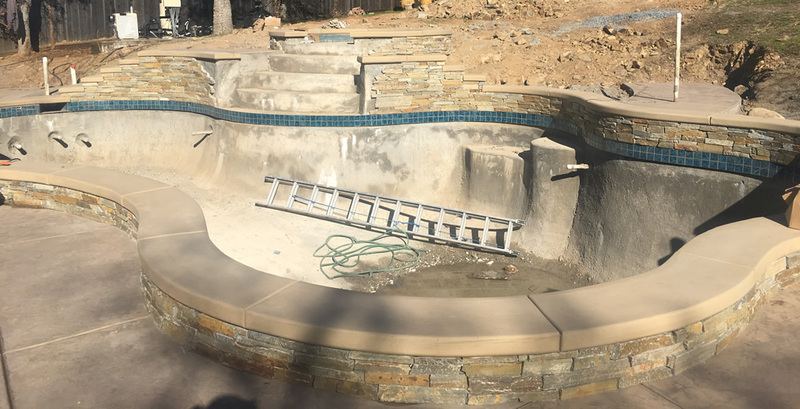 What should you keep in mind when selecting a contractor for your upcoming pool project, and what qualities does Sac Pool Pros bring to the table to make this choice easier? What should you keep in mind when selecting a Sacramento pool contractor? With Sacramento's year-round pool season, many of the tips often cited by those in other states aren't applicable -- for example, saving money by waiting until winter to hire a pool contractor. However, there are a few fairly universal factors that can help you distinguish between a responsible contractor and one who may leave you dissatisfied. Whether you've hired contractors for other home improvement projects or this is your first time, you'll want someone who is responsive to your questions and concerns and who is easy to contact, rather than one who goes MIA at inconvenient times or who seems irritated by questions. Why is selecting Sac Pool Pros as your swimming pool builder the right choice? For those who value responsiveness and expertise, Sac Pool Pros is the clear winner -- with more than 20,000 California swimming pools under its belt, Sac Pool Pros and its workers have encountered (and tackled) just about every swimming pool construction problem or challenge out there. By partnering with Sac Pool Pros, you'll be ensured a positive experience with its professional and responsive contractors and will have access to a wide breadth of knowledge and experience.